this web stuff is muy hard....but i finally figured out how to set up a picture for my profile. yea!!! for gracie.....yea!!! for blogger...yea!!! for yummy coffee & donuts! oh....by the way...this is gracie, one of my characters for lucky ducky. she says hola and nice to meet you. 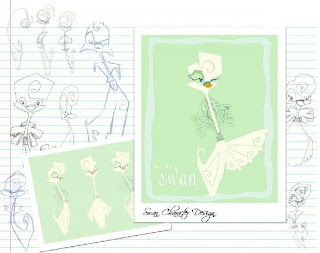 here are some designs ive modeled in maya and some final designs of my characters. 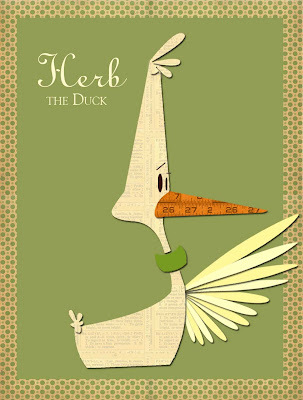 and last but not least...herb the duck. Nhu I wish I could do this stuff as well as you. teach me!!!!! Great stuff Nhu! I totally dig the design of your film. Awesome layouts too, cant wait to see more! Your artworks are very beautiful and inspiring!! Love them a lot! wow, wonderful blog, i love your colors and textures in your art!